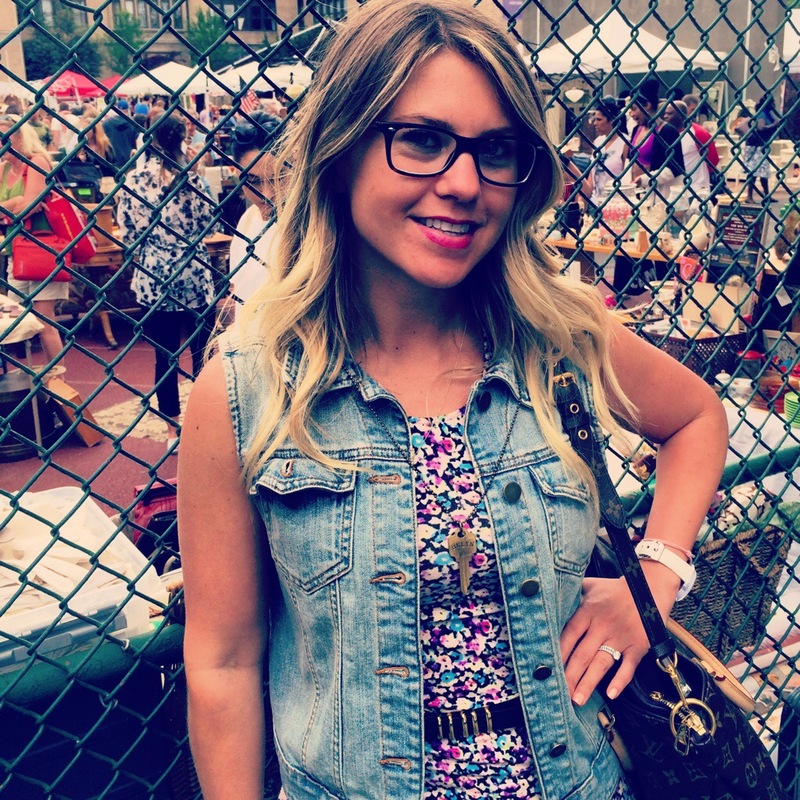 I have been going to Flea Markets since I was a young girl. They used to have them at the Yonker’s Raceway in Yonkers, NY every Sunday. I would go and make my mother and father buy me a bunch of junk. (like a heart shaped pillow with Dylan from 90210 on it LOL.) 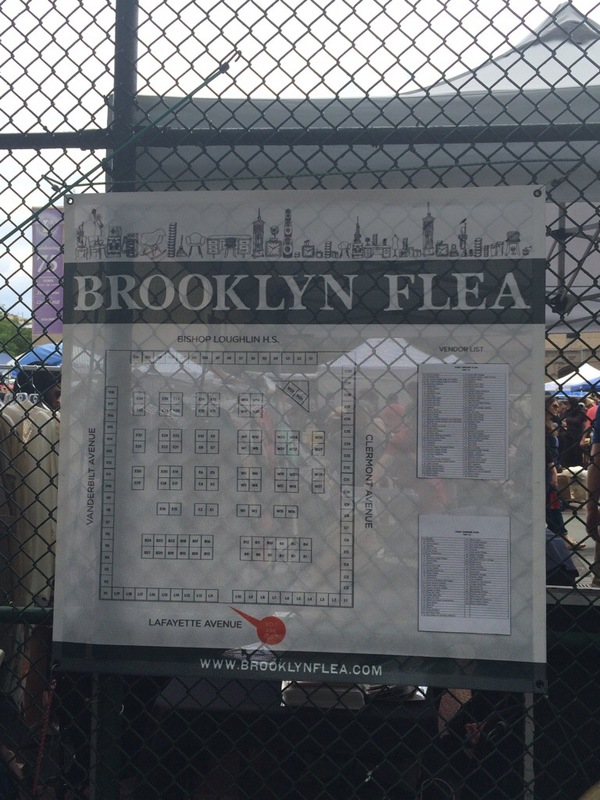 I have heard good things about the Brooklyn Flea and they have a few locations in Fort Greene, Williamsburg, and Park Slope. And so one cloudy Saturday afternoon with not much to do we decided to drive out. We went to the Park Slope Flea It was really cool, they had tons of old collectible toys and shirts. 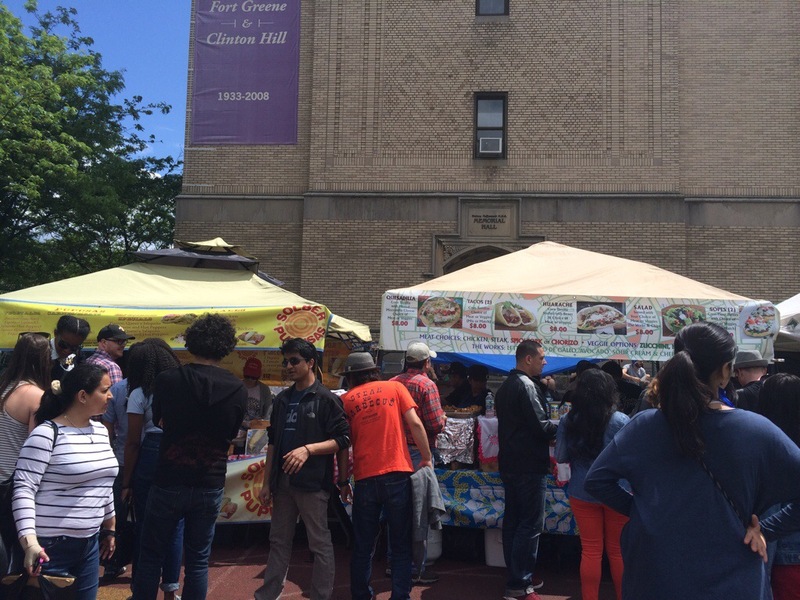 They had jewelery, food and clothing vendors. We got a delicious fresh made doughnut. 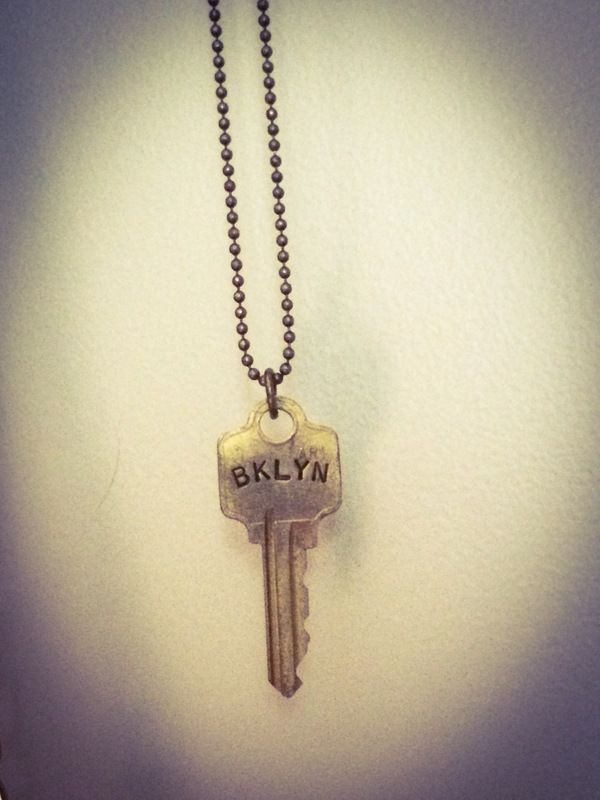 I got a cool looking handmade key necklace with Brooklyn engraved on it. 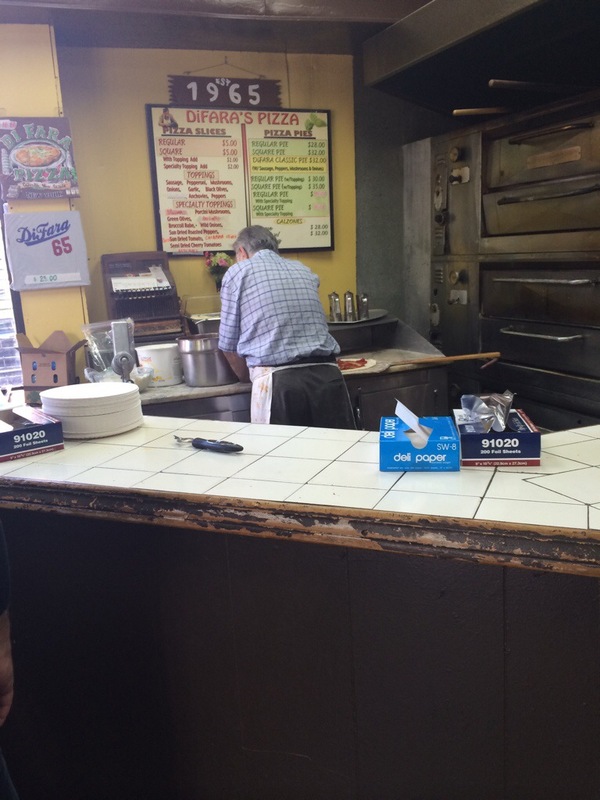 On the way back home we stopped at the famous DiFara’s Pizza(best pizza in brooklyn they say). I would have to say I agree with them. The pizza was delicious and it was worth the long wait. 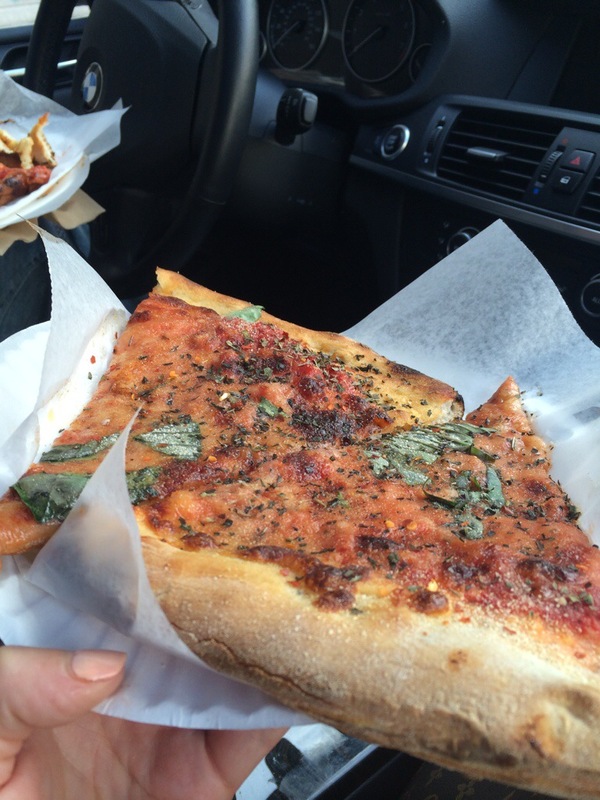 We ordered 2 slices and one square slice(my fav). I dunno if it was the sauce the crust or the fresh basil it was delicious! After the first bite I took I was kicking myself for not getting a whole pie. 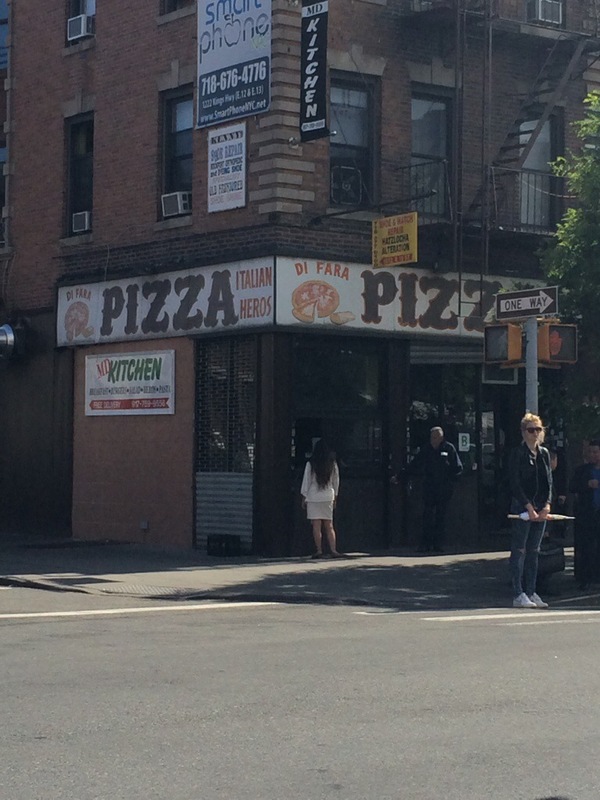 It’s a very small pizzeria with not much seating. We sat in the car and stuffed our face.